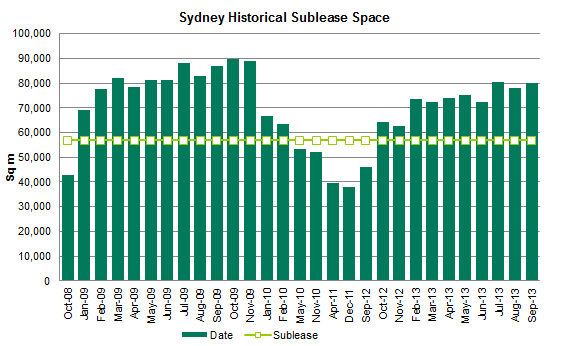 ​Sydney, 29 October 2013 – The volume of office sublease space in Sydney remains above historic levels, however few options are being added to the market and much of the existing stock is likely to revert to direct leases in the short to medium term according to the latest forecasts from CBRE. The September Sublease Barometer highlights only a minimal increase in the supply of sublease space during the month, with stock levels rising by 2,033sqm to 80,196sqm. Significantly, only four new options came to the market during the month, substantially fewer than the 11 options added in August. CBRE Senior Director, Office Services, Jenine Cranston said a number of smaller tenancies had also been taken off the market as the costs associated with leasing the space – and the fact that they had relatively short lease tails – had impacted their viability. “Much of the current stock available for sublease is subject to a lease expiry next year,” Ms Cranston said. The CBRE Sublease Barometer tracks both the volume of sublease space and the trends occurring within different industry groups and market sectors. It shows that the finance and insurance sector increased its dominance in the sublease arena during September, to account for some 55% of the available space. 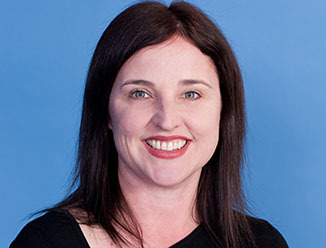 However, Ms Cranston said employment in the Sydney finance and insurance sector had increased by 4.5% in the September quarter, outperforming the national figure of 0.4% and continuing the positive momentum from Q2. “With this sector being the main contributor of sublease space, overall availabilities may start to decline to be more in line with the historical average,” Ms Cranston said. Public sector contraction is also playing a role in the sublease market, with budget constraints continuing to take a toll on demand conditions. “Across the board, business contraction is the underlying driver behind 62% of the sublease space available in Sydney as companies assess ways to reduce their operational costs,” Ms Cranston said.